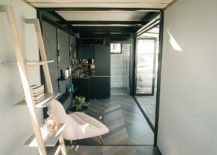 Nowadays, micro homes are increasingly in demand. 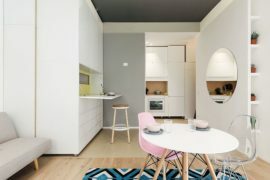 For a myriad of reasons, more people are assessing the viability of a micro home as a place in which to put down roots. 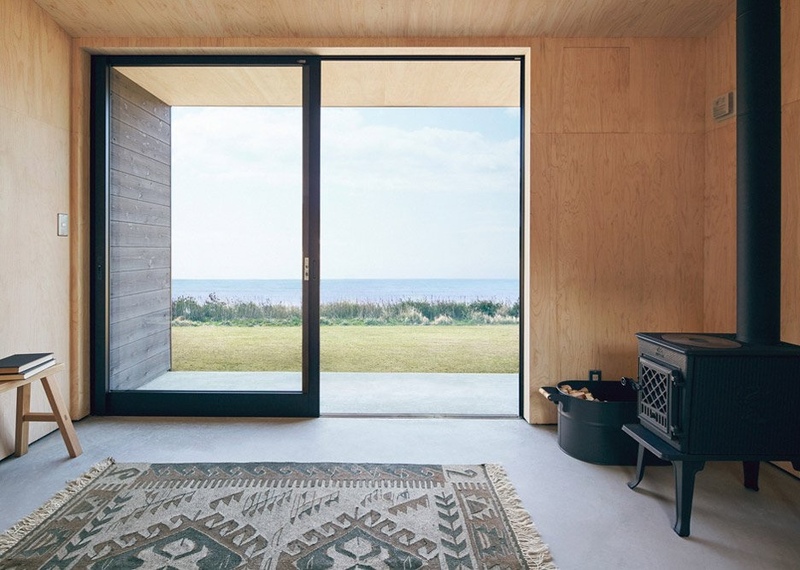 Typically transportable, the micro home allows the person to escape the rigours of daily life and spend time in an offbeat setting. 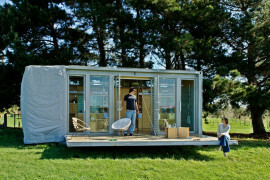 The micro home is also the perfect way to downsize one’s life and enjoy new freedoms. And with house prices escalating (particularly in cities) and populations expanding across the world, the micro home will likely be considered the go-to option for more and more people, city planners and governments. 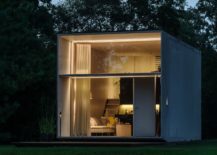 Here are five examples of micro homes that could help achieve the aforementioned aims. 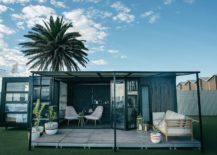 By cleverly converting shipping containers, Australian company Contained offers creative solutions for living and working. 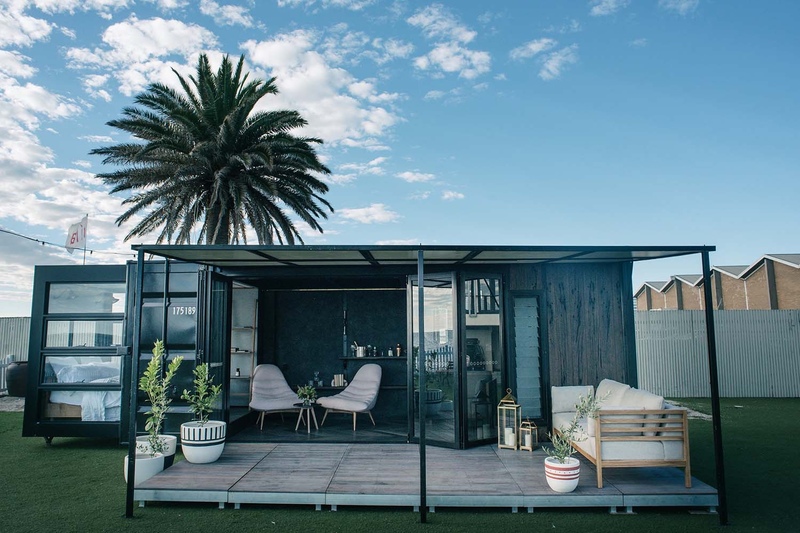 The brand’s approach emphasises thoughtful design, luxury, flexibility and sustainability, with an infinite number of possibilities: its shipping containers can be transformed into many things and transported to countless places. 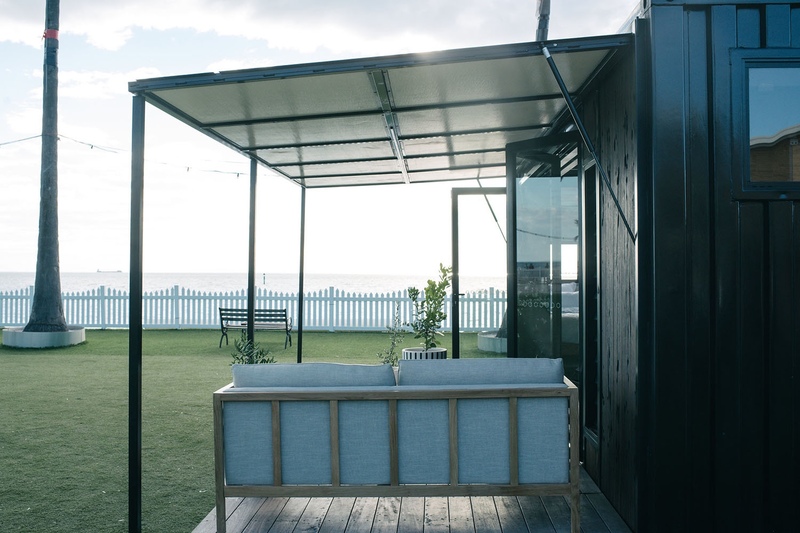 A converted shipping container by Contained. 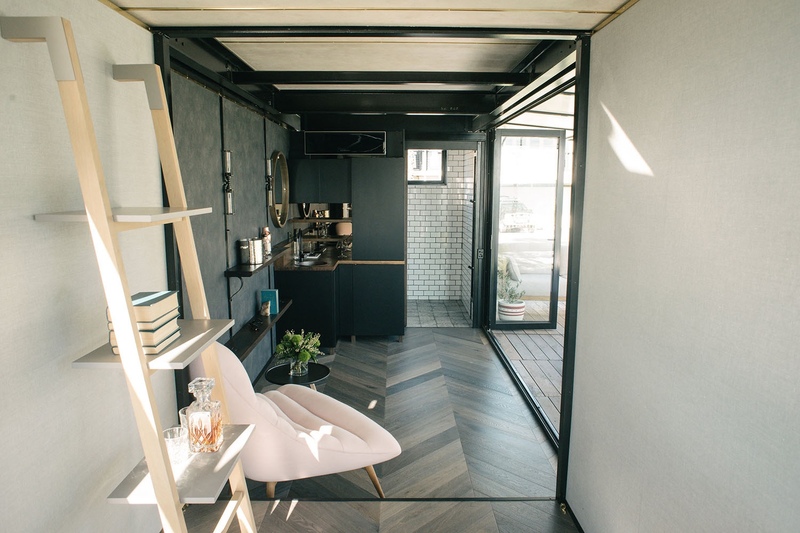 The container’s relaxed living space. Photos by Daniel John Bilsborough Photography © Contained. 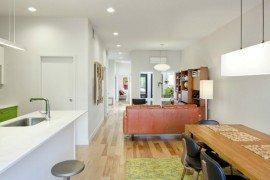 With the increasing prevalence of transformative technologies, such as 3D printing, it is feasibly possible to make homes on-demand. 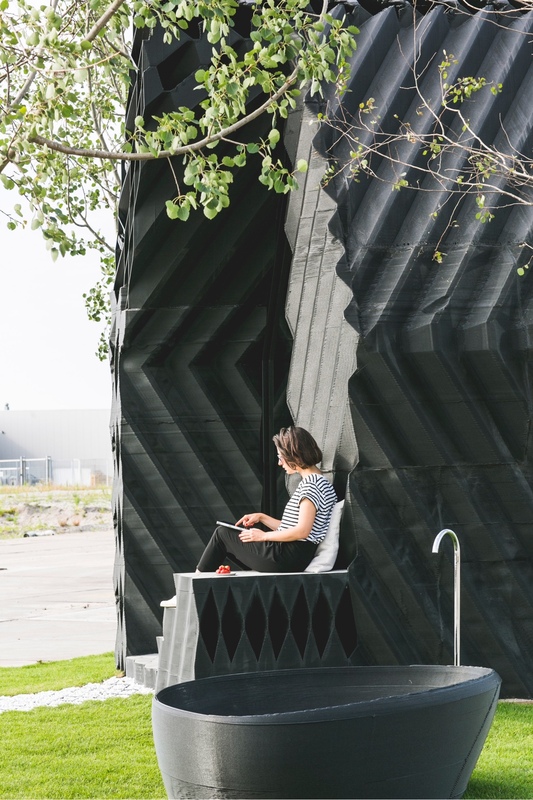 DUS, an Amserdam-based architectural studio, is experimenting with this very concept. 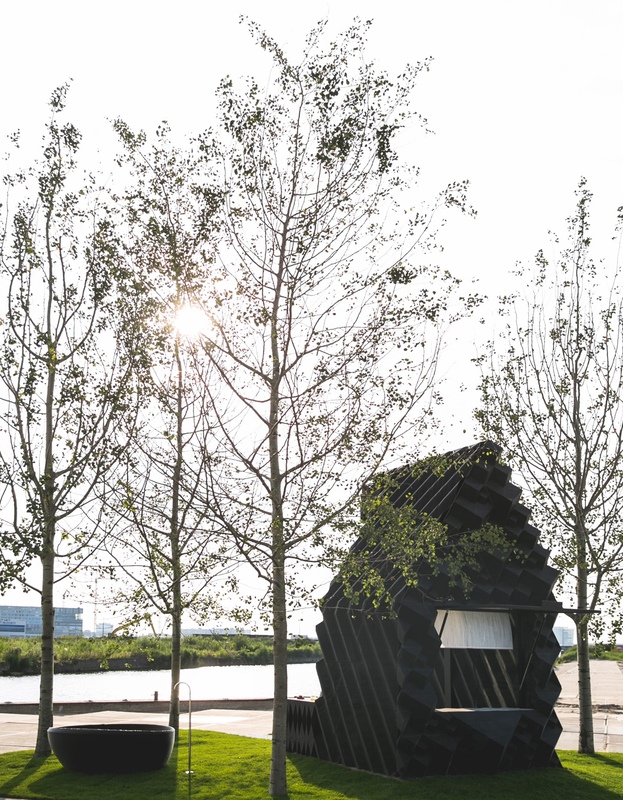 Its 3D printed urban cabin is a first step towards using 3D printing to develop sustainable, modifiable and on-demand housing solutions for fast growing populations in cities around the world. 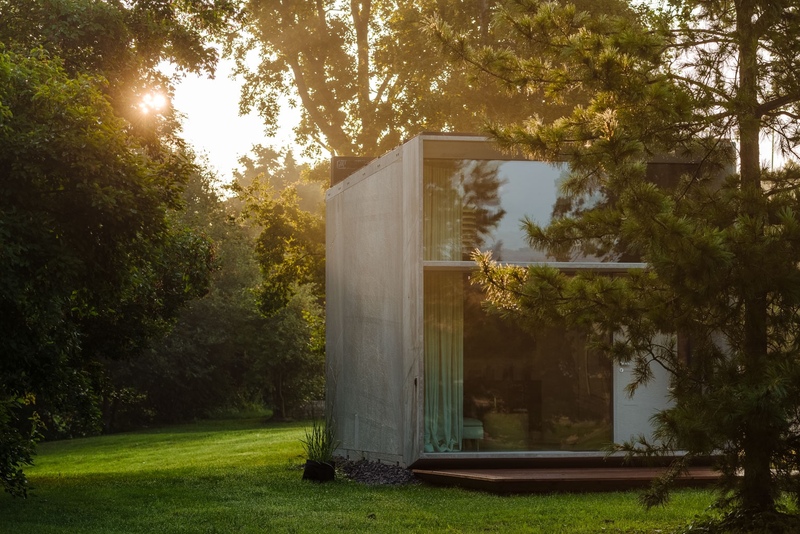 Emphasising luxury within a minimum footprint, the DUS urban cabin is thoughtfully designed and playful, and includes a 3D printed outdoor tub. 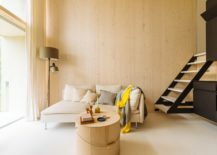 DUS urban cabin and tub. 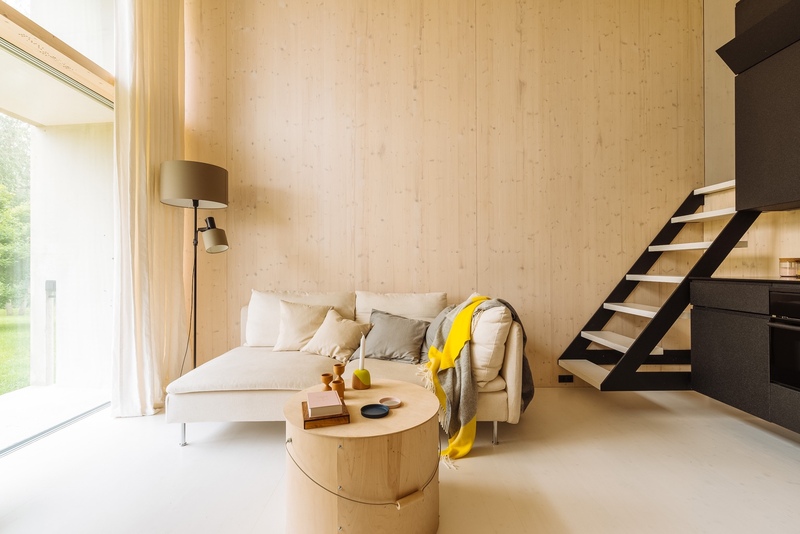 Photo by Sophie van den Hoek. 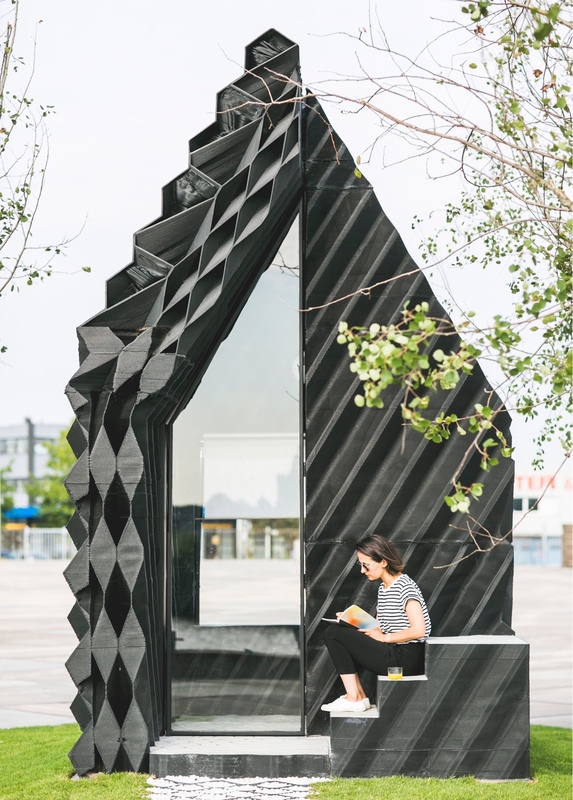 DUS urban cabin’s 3D printed structure. 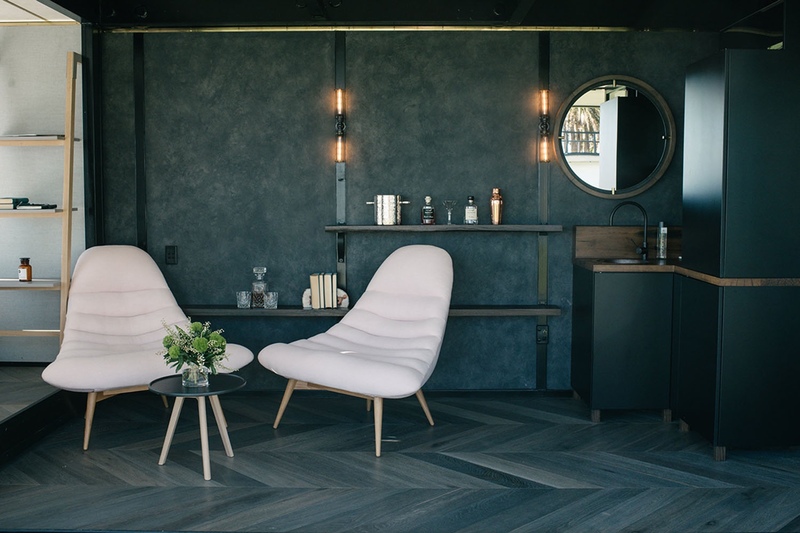 Photo by Sophia van den Hoek. 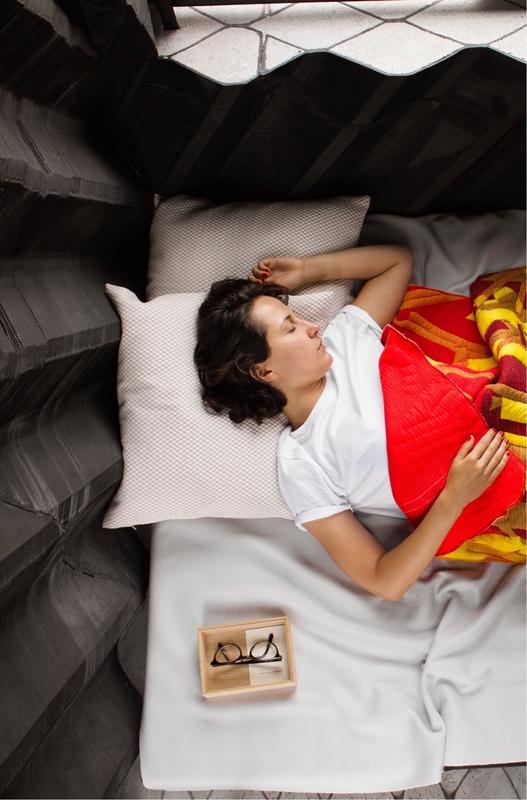 Sleeping in the DUS urban cabin. 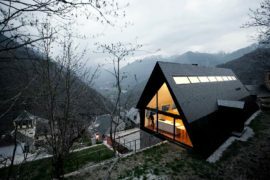 Photo by DUS Architects. 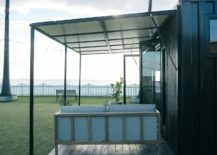 The DUS urban cabin tub. Photo by Sophia van den Hoek. 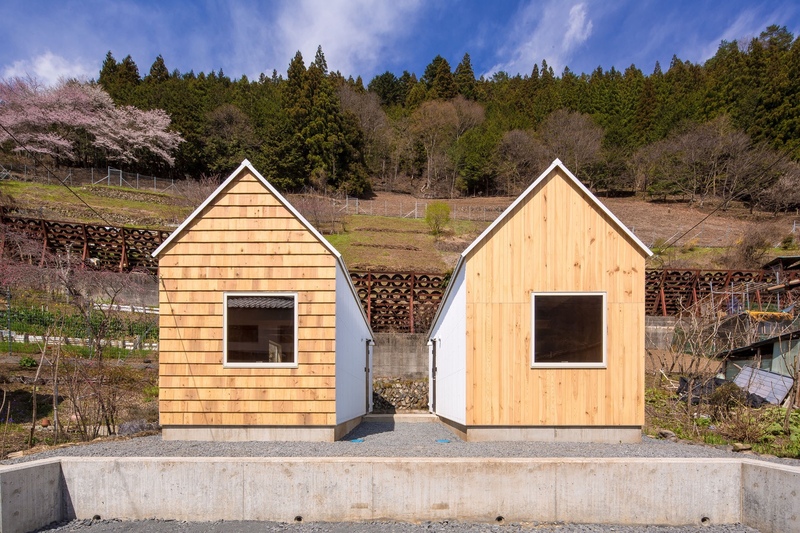 In Japan’s Yamanashi Prefecture, a small mountain village called Tabayama commissioned architectural studio S Plus One to design two micro starter homes. With a population of approximately 550 people, the local government of Tabayama is keen to attract new people to the area. 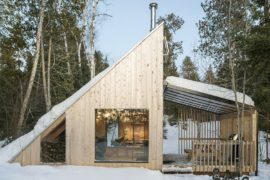 The facades, interior walls and ceilings of the simple micro homes are clad in local woods: one in cedar and one in pine. 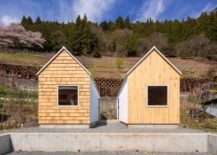 In a nod to Japan’s architecture heritage, the micro homes call to mind Japan’s popular small wooden houses. Cedar house and Pine house. 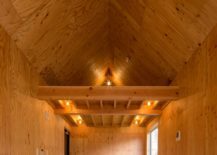 The bare wood Cedar house and Pine house interior. 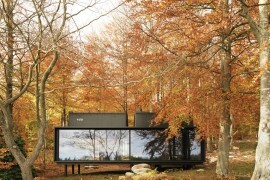 Photos © Naoki Kobayashi via ArchDaily. 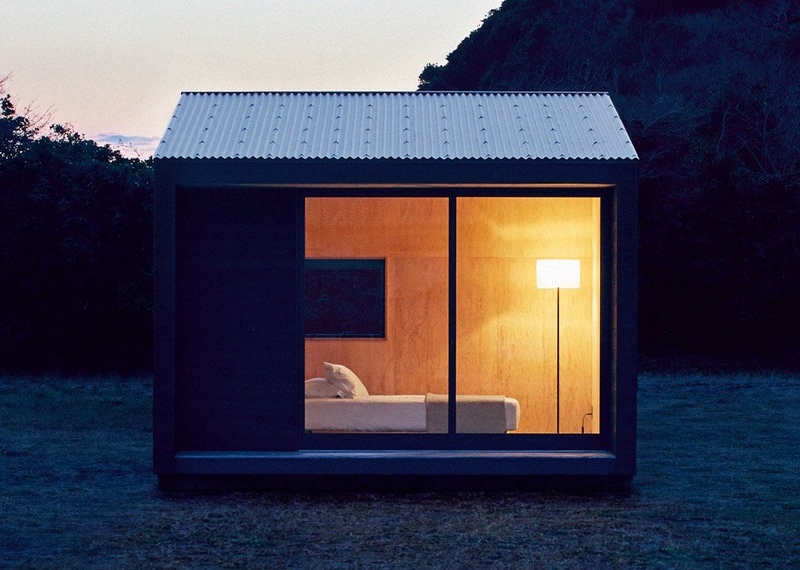 Muji, the minimalist Japanese retailer, recently revealed the design for its compact, prefabricated Muji Hut. 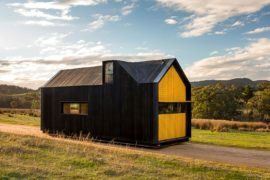 Ideal for a range of locations, this simple wooden cabin acts as both a permanent residence and a holiday home. 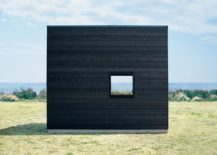 The cabin is built on a concrete foundation and a charred black wood cladding ensures it is more resistant to fire, insects and decay: a Japanese technique known as ‘shou sugi ban’. 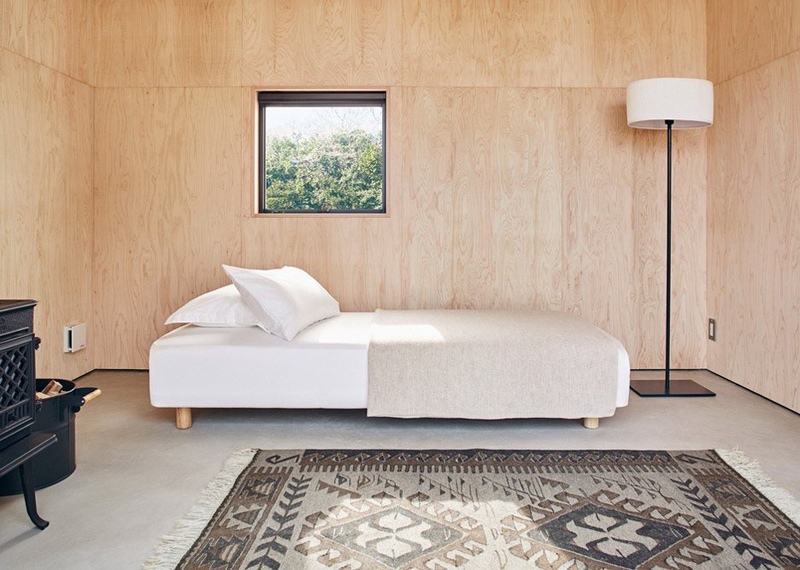 The minimal interior pairs Japanese cypress plywood walls with a clean mortar-covered floor. The Muji Hut’s charred black wood cladding. 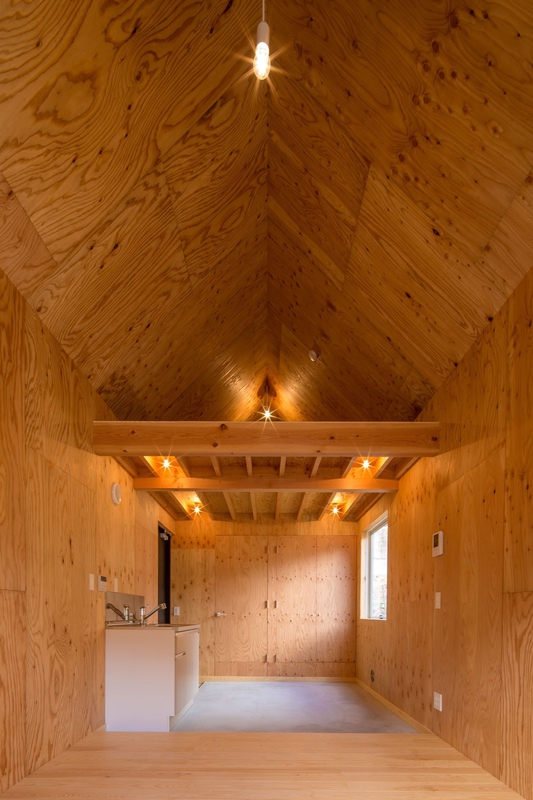 Muji Hut’s cypress plywood walls and mortar-covered floor. 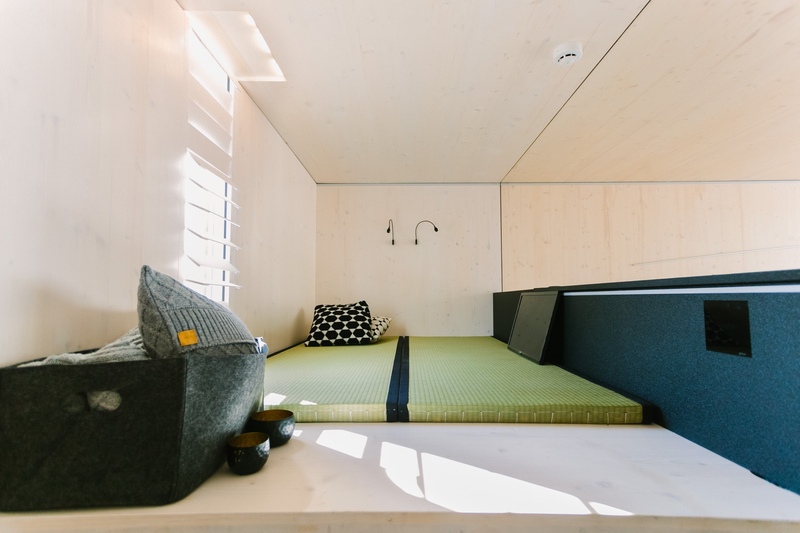 KODA is an innovative housing solution by Estonia-based Kodasema. 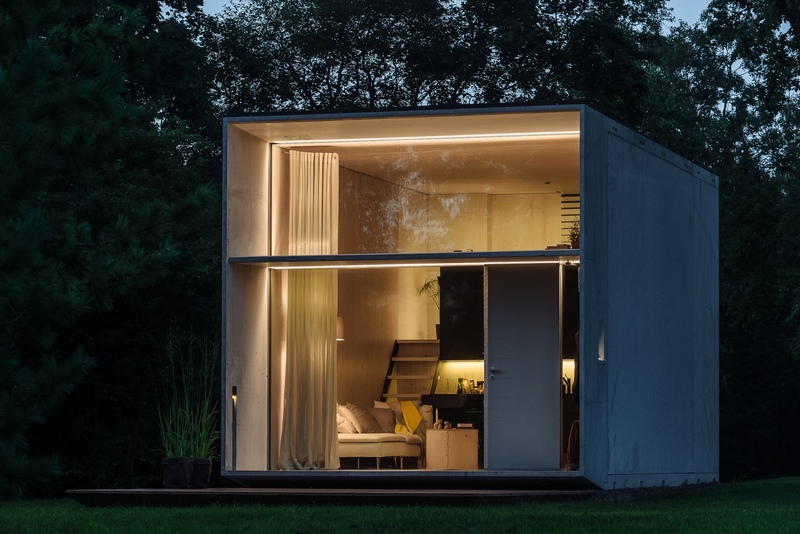 Designed to be easily relocated, KODA requires no foundations and is transported in one piece. 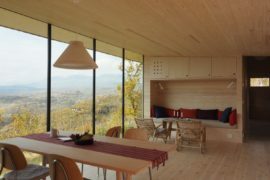 The house makes use of natural light, smart technology and solar panels for energy. 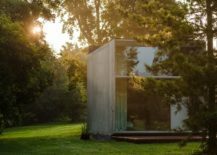 With a concrete exterior and wood interior, this smart micro home offers modern-day accommodation and amenities over two levels. KODA interior view. Photo by Tõnu Tunnel. 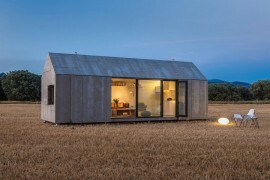 KODA’s modern concrete exterior. Photo by Tõnu Tunnel. KODA’s clean living space. Photo by Tõnu Tunnel. KODA’s upper level. Photo by Kodasema. All photos © Kodasema OÜ.